I had a really great opportunity to participate in my friend’s Natural Hair Event. 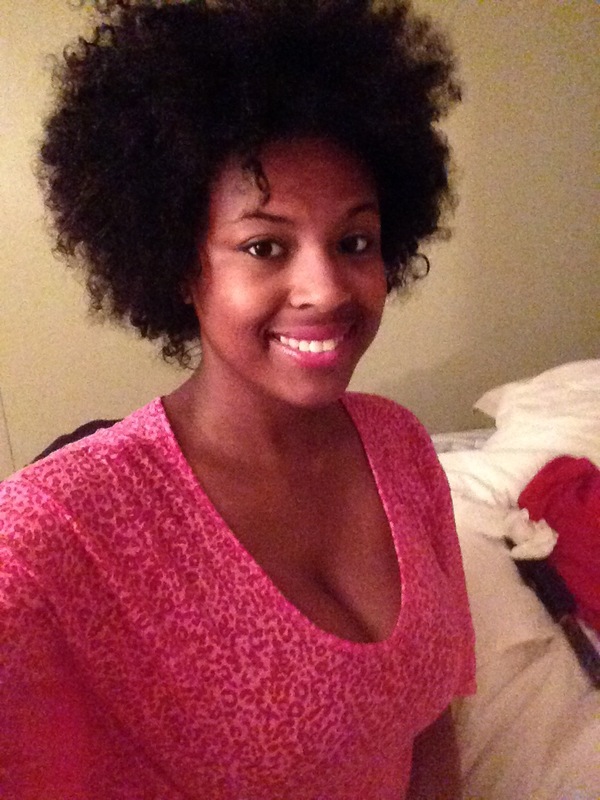 My friend runs a blog called Blossom2Beauty that you should all check out for great natural hair tips! The 2 day event featured hair styling tips, prizes, hair-styling, and a photo shoot showing off our amazing natural hair styles. On the first day, we met at High Maintenance House of Beauty in Euclid, Ohio. We had a taco bar and a delicious sangria to start. I had a chance to talk to another naturals about their hair journeys. There was also a few games where we won prizes and I left with a goodie bag with some hair products. The second day, we met at the hair salon and got our hair styled. I had my hair wonderfully curled by Veronica, a Cleveland hair stylist. I recently colored my hair blue, purple, and silver, so the curls really made the colors pop. After styling, we all headed to Euclid Creek Park where we shot photos of our looks. There was a fall theme and a black power theme that I really liked. I was really happy with the way my photo turned out. Overall, the event was fun and I’m glad I had a chance to learn more about my hair. Looking forward to more events in the future!